AgriFutures Australia, a trading name for the Rural Industries Research and Development Corporation (RIRDC), is an organization that specializes in investment for new, emerging industries affecting agriculture that currently don’t have a developed research function. In their quest to develop Australian agricultural industries, AgriFutures recently highlighted 26 in particular they deem to be priorities, with the Australian state Tasmania staking strong claims in production. Some of these prioritized industries include quinoa, hemp seed, truffles, dairy goat products, and, last but definitely not least, Manuka honey. 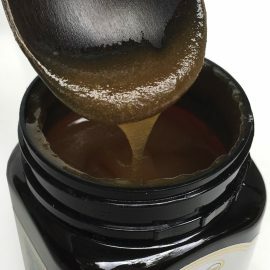 This recent report from AgriFutures, which they entitled, “New Opportunities in New and Emerging Agricultural Industries in Australia,” examined food industries around the globe with the potential of an annual $10 million turnover in addition to a wide commercial presence and global demand—something Manuka honey has plenty of. In terms of the island state of Tasmania, its agricultural industries significantly contribute to its country’s national economy in addition to providing its regional and rural communities the chance to shape products that are growing in popularity. One industry that has been moving at a brisk pace—micro to up-and-coming more or less—AgriFutures highlighted quinoa in its report as an industry to keep an eye on. As an example, Henriette and Lauran Damen grow mostly quinoa on their property, selling it through Kindred Organics in their hometown. Henriette says their grain was imported via North America and South America, yet they have been producing, harvesting, cleaning, and polishing the Tasmanian crops in Kindred for some time now. “The quinoa seed comes closer to meeting the genuine protein requirements of the human body than either cow’s milk or soybeans,” Henriette said. Regarding the popular Manuka honey industry, Launceston apiarist Lindsay Bourke stated Australia is the one country where the Manuka bush, derived from a Leptospermum species, originally grew wild. He said, “We have land managers managing [Manuka and leatherwood] sites for the benefit of Tasmania. If we can’t get into these sites, we won’t have enough bees to pollinate crops.” In addition to producing the liquid gold that is Manuka honey, pollination is an additional service beekeepers often provide in agriculture. “We need more beekeepers because we are in partnership with farmers who grow nuts, seeds, fruit, and vegetables. They rely on us to pollinate their crops,” Bourke said. John Harvey, the managing director for AgriFutures Australia, has set what he deems to be an “ambitious goal” to support five growing agricultural industries that have a combined turnover of roughly $50 million for the next five-year period. “With focused management and investment, these industries are tipped to be the next big thing,” Harvey said. Ready to try Manuka honey? To see our full line of products or to get your order started, click here. And, remember, we offer FREE shipping on all orders of $150 or more.